The credibility of India’s top institutions has lately suffered, affecting governance and democracy in the country. Its strong indication came in the form of the impeachment motion against the chief justice of India which was rejected by the vice-president and was subsequently challenged in the highest Court. When the case challenging legality of the vice president’s action came before the court, the petitioner sought clarification on the bench hearing the case expecting that the chief justice could not pick and choose judges (bench) that heard his own case. But the court refused to give explanation, meaning that the court would not follow the first principle of justice in its own conduct that one cannot be a judge in his/her own case. It is logical that such a court could not be expected to deliver justice fairly and therefore the petition was withdrawn. It is a crucial self -goal, akin to a sabotage from within putting question marks on the highest court’s ability to enforce the constitution fairly, thus damaging democracy in the country. 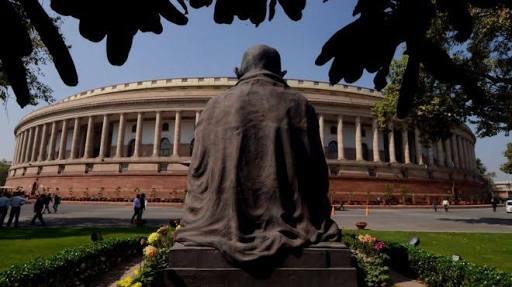 But it is not only the Supreme Court that has failed to inspire confidence, even the parliament of India has failed to discuss, debate, moderate and legislate on urgent public issues. For instance, the Lok Sabha functioned for only 33. 6 hours in 28 days during recent budget session passing two bills in 14 minutes. It passed the annual budget for the nation without discussion and the speaker of house disallowed to take up a no confidence motion against the government. In a cabinet system of government, it is the Prime Minister’s duty to conduct the proceedings of parliament with the help of his/ her cabinet. However, the present prime minister took little interest in doing so, instead after the washout of the parliament session, he observed a day’s fast with his cabinet colleagues and cleared his conscience. It is like sinning to national loss and bathing to personal purity, adding little value to the highest executive office of the country. The Reserve Bank of India sets the monetary policy of the country but it took merely a day to approve government’s advice on demonetisation without giving thought on its rationale or how it would handle post-demonetisation situation. Consequently, 99 per cent currency came back at the cost of more than a hundred human lives and huge loss to nation as economy slowed down due to unavailability of currency in a cash dependent system. For democracy to function, election commission must be beyond reproach. However, election commission sullied its image by its conduct during the Gujarat election postponing election dates against norms and by disqualifying AAP legislatures of Delhi assembly without giving them a fair hearing thus inviting Delhi high courts criticism that struck down its decision. Inefficient and self-perpetuating institutions at top have a ripple effect down to bottom. For example, the Chennai High Court could not decide on the case of disqualification of 18 legislators for five months, causing a government to continue in the office that might be found to be functioning illegally for all these months. It finally delivered a split verdict recently lingering the matter indefinitely, more in line with other high courts across the country where 4.2 million cases are waiting to be heard. Similarly, the state assemblies of UP, Gujarat and Rajasthan functioned for 17, 25 and 33 days in 2017, and the latter passed a legislation granting a 'former chief minister' an official bungalow with 9 employees for life , under the patronage of sitting Chief minister who hopes to become a 'former chief minister' soon as election are due shortly in the state. The institutions are the last resort of the people for getting justice in a democratic society. If they are unable to do so because the institutions are weak, self-perpetuating, unaccountable and politically influenced, then democracy becomes a farce and the leader who presides over such a spectacle is judged by the history harshly, be it Indira Gandhi or Narender Modi. In this context, learning from history is useful. India’s first prime minister, Pandit Nehru is revered largely because he built, nurtured and respected institutions that, he recognised, outlast individuals who, howsoever popular or clever, are merely slaves of time in a democracy. Just looking at the picture of Sinha felicitating those accused of lynching and justifying this by saying they are innocent until proved guilty is sickening. What about the victims? Weren't they held guilty without being given the chance to prove themselves innocent?